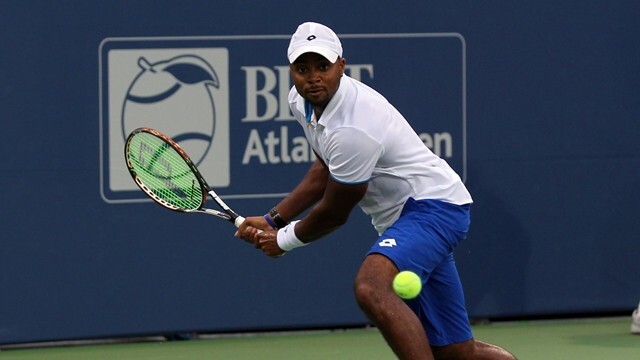 It is hard to believe that Donald Young is already an 11-year veteran on the ATP World Tour. Rewind to a decade ago, the world was revving up with hype about a 15-year old kid who had just become the youngest-ever Australian Open junior title winner and the youngest and first African-American junior male to be ranked No. 1 in the world. Young’s early success was accounted for in several national publications: Newsweek, ESPN the Magazine, The New York Times, Chicago Tribune. You name it; the left-handed star was in it. But for the next few years, the dreams of becoming a future Grand Slam champion would seem to be a figment of one’s imagination followed with a substandard career. In 2007, despite winning his first Challenger tour title, Young was 0-11 on the ATP World Tour. It was not until his first round match up against then countrymen, Amer Delic, in New Haven that he notched his first professional victory; 4-6, 6-3, 6-4. Continuing to show signs of promise, Young also earn his first grand slam match victory at the US Open that year, advancing to the third round. These days, the former Orange and Easter Bowl winner, not to mention Wimbledon junior champ, is finally starting to set himself apart from his own shadow. This year, Young has shown some serious determination. Starting out the year 10-4, he reached his first tournament final in four years at Delray Beach, having to come back from a set down against both Ukraine’s Alexandr Dolgopolov in the quarterfinals and Bernard Tomic of Australia in the semifinals to win. In his first title match since losing to Andy Murray 6-2, 6-0 in Bangkok in 2011, the American’s brilliant play would not be enough against one of the game's most lethal servers, Ivo Karlovic. The Croatian handily defeated Young 6-3, 6-3. After making a singles semifinal appearance in Memphis, Young teamed up with Artem Sitak of New Zealand to make a run to his first ATP World Tour doubles final before falling to Poland’s Mariusz Fyrstenberg and Santiago Gonzalez of Mexico 7-5, 6-7(1), 8-10. Winner of eight Challenger singles titles, Young is looking to regain the same form that led him to his career-high ranking of No. 38. The American became one of the most improved players on tour in 2011 after earning his best Grand Slam result of reaching the fourth round of the US Open. The 2012 Olympian’s inaugural second week at a Grand Slam was highlighted by defeating No. 14 Stanislas Wawrinka in 5 sets in the second round and No. 24 Juan Ignacio Chela of Argentina in the third round before losing to Murray in the round of 16. Although much of Young’s early hype has died down as of now, the 26-year-old plans on turning back the hands of time and show the world what he has to offer as a growing man on the tour.